Whether for a high intensity workout requiring focus or a casual recreational ride, cyclists benefit from Pilates. Why? Cyclist stay hunched over their handlebars, sometimes for hours at a time with their spine in flexion. Many do not use the right form, scrunching their shoulders up by their ears. This leads very often to back, shoulder and neck issues. Although cyclists shift their upper bodies from side to side for momentum, their lower bodies only move from front to back. With little lateral movement going on, those muscles become neglected. Many injuries are also caused by ill-fitting equipment, such as a hand-me-down bike that’s the wrong size. They can throw off your body alignment, resulting in IT (iliotibial) band or knee problems (so it’s important to get a bike fitted properly). Pilates training with cyclists to open up their chest and shoulders, as well as encourage flexibility and strength in the back. Exercises outside the sagittal (forward) plane are also important for balancing out the body. It’s also key to have a strong upper body for support. To stay in that flexed position, arms should help hold you up so you’re not just depending on your back. Specific arm work is also necessary. Let your fellow riders see you at that next race and compliment you on your stable pelvis, because with strengthening through Pilates method, you won’t be rocking back and forth wasting valuable energy and setting the stage for hip or leg injuries. You will learn how to keep your upper traps engaged and slide your shoulder blades down to lengthen your neck and back, avoiding pain. Efficiency on a bike is key. The more power a cyclist can produce using the minimal amount of effort, the faster you can travel for longer. As for form, the longer you are able to maintain good form, the more efficient your energy use on the bike will be. Pilates will strength your deep postural muscles to help stabilize you on the bike, improve your handling and balance as well as working on your flexibility and posture. Elite cyclists such as Bradley Wiggins incorporate Pilates in their training to keep their muscles and spine flexible, improve strength and general body awareness thus avoiding injury and improving overall performance. Shift it up a gear with Pilates. 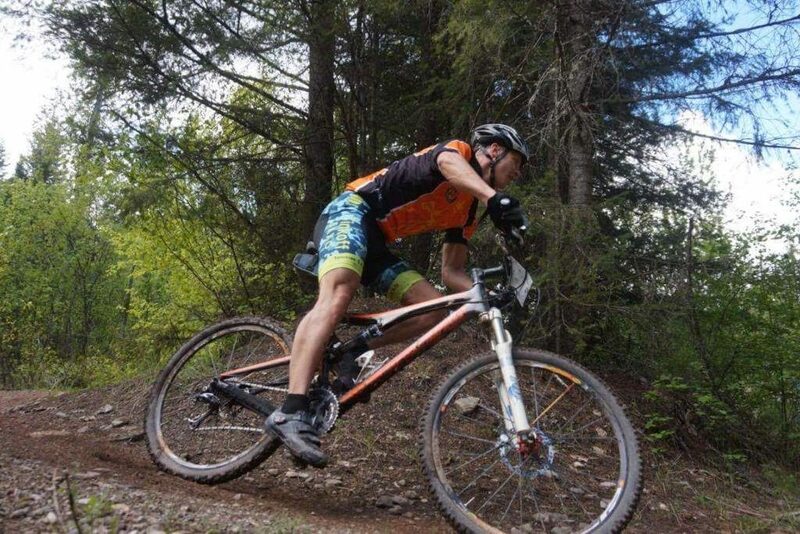 I’m a life-long avid XC skier and cyclist. I first heard about the benefits of Pilates on athletic performance from a Masters ski coach of mine. That got me thinking! A bit later, I developed some knee soreness that I was pretty sure was the result of muscle imbalance. That led me to Cores & Effects and Amy. She quickly identified the cause of my knee pain and we set about restoring balance and building flexibility and strength to get back to proper alignment. The improvement was noticeable very quickly and it wasn’t long before the issue was completely resolved! I also noticed that my performance on the bike was improving as I was learning to recruit more muscles properly and that my awareness of proper form was much more acute. I’m very interested to see how this translates to the skis as well. Amy is a very skilled teacher who understands athletics and I truly enjoy the challenges she presents me with each session. I believe that what I am learning from Amy will enable me to keep my level of physical activity high for many years to come! Whether you are pounding the pavement, trail or treadmill, Pilates can take your running to the next level. Pilates provides core strength and hip stability to help you go faster and prevent common injuries. You may think that running only focuses on the lower body, however, maintaining proper form requires total body strength and flexibility. 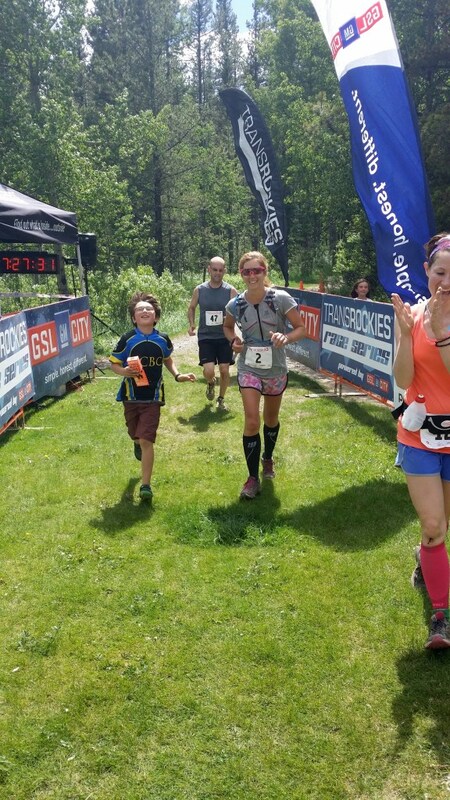 Do you find yourself slouching during your run? This can happen when you get tired, resulting in restricted breathing. You may then compromise your lower body alignment which can result in lower back pain. The pounding and jarring effect of running can take a lot out of your body and chance injury – a result of a weak powerhouse and lack of flexibility. Ever had IT, shin, feet, knee or lower back pain? So along with protections for your entire body, Pilates also helps you pick up your pace. 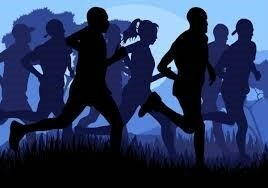 You run far more effectively and thus faster. Keeping an upright posture, you are able to work at your stride and breathe better, helping reduce fatigue. For the best results in competitive running practice try doing Pilates 2-3 times a week and running 3-4 times a week on non-consecutive days. Are you training for a marathon or just wanting to increase your distance/ performance? Pilates can help runners suffering from back, knee and hip problems. Incorporating Pilates into your training programme will strengthen your muscles, improve flexibility and joint mobility. Pilates for runners will concentrate on the functional movement of running and exercises will be performed in a variety of functional positions. With combining your love for riding and Pilates you can increase your overall body awareness both on and off your mount as well as improve flexibility, balance, and strength in order to facilitate an optimal riding experience. Pilates can sculpt a stronger body with increased flexibility, strength, and balance creating a deeper seat and enhanced suppleness of your lower back, not to mention the strengthened abdominals! 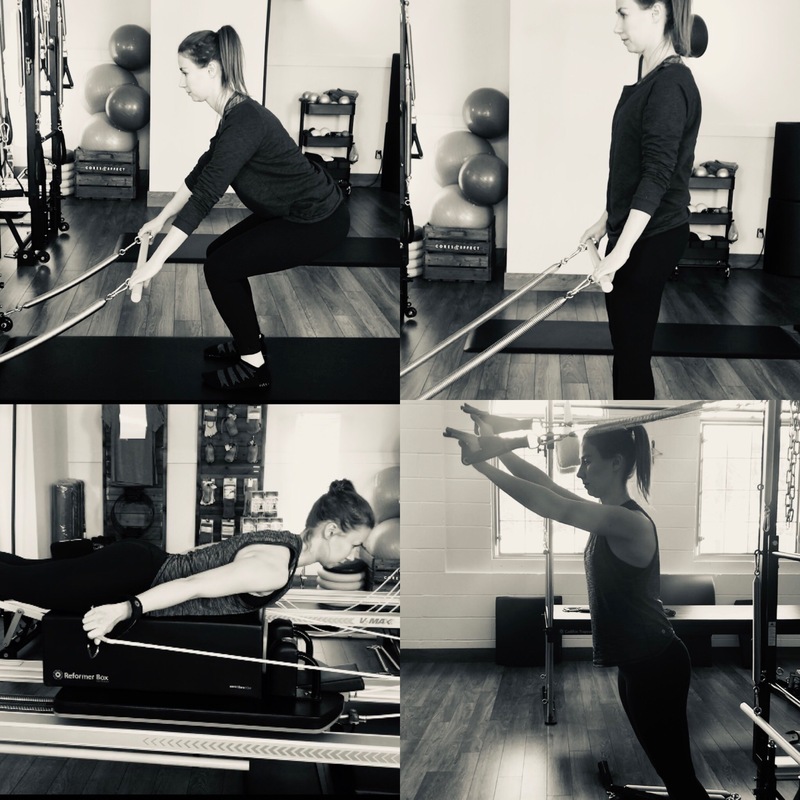 When I recently sat down to think about all that Pilates can help the rider with, the list just kept getting longer …… and longer…..
By practicing Pilates you will no doubt improve all of these things to some degree. As your Pilates teacher, I am driven to help you to achieve your goals and improve the harmony between you and your horse, whether you are just a happy hacker or serious competitor. 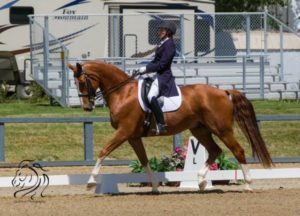 I believe you can really take your riding to a whole new level using this method; many riders are amazed at the difference it really can make. I look to encourage this modality at the studio more in the coming year. If we only try to improve our imbalances whilst actually riding, we will find we are just repeating old habits. We can achieve much better results and make real changes while off the horse, and then we will have better balance, co-ordination and ability to synchronize with our horse’s movement. Having started Pilates with Amy is one of the best things I’ve done. Being a rider, it has helped in so many areas. Beginning to learn how to use my core correctly, starting to be aware of my feet are only a few of the benefits. I’m slowly noticing that I’m able to sit more deeply in the saddle, and by learning to engage my back, I’m able to relax my shoulders and arms and offer my horses a more soft and feeling contact with the bit. Figuring out where my crookednesses and compensations are, I’m noticing some of the problems in my horses straightnesses. It’s amazing how old injuries are effecting how I use my body, and getting them erased is making a huge difference. Pilates has not just started to improve my abilities in the saddle, but my overall health and outlook on life is better. It’s amazing how uplifting it is. I can arrive at a session feeling tired and stressed, and by the time I’m done, I feel invigorated. I’m very excited about my future in Pilates! Thank you Amy!! When I started Pilates with Amy I had no idea how far reaching the effects of it would be in so many areas of my life. I can honestly say it has been a life changing experience, and I love it! 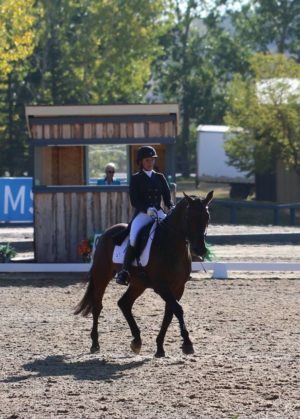 The most unexpected changes have been in my abilities as an equestrian rider. Through learning proper alignment, stretching and strengthening throughout my body I not only feel better balanced and more secure in my seat, but I can actually feel my horse better and what his body is doing. I’ve been amazed at the many light bulb moments I’ve had. Such as, when I come to an awareness of my own crookedness I realized I’m usually trying to correct the same crookedness in my horse when I ride. I’m happy to report now when I ride I’m aware of those tendencies in both of us, and I’m more effective in correcting it with the increased knowledge, strength and balance Pilates is giving me. As a result, we are both straighter and we work together much more harmoniously. Another time, I had a Pilates session focusing on alignment and maintaining proper balance in my feet. When I rode after my session I tried to keep the same focus of alignment and foot balance in the stirrups. 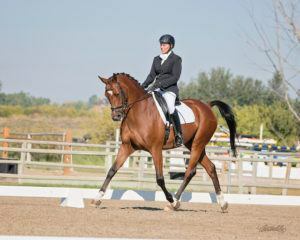 Much to my surprise my horse moved more easily off my aids, freer in his strides and more responsive to my half halts. It was truly amazing! This is just a snippet of my experiences with Pilates as an equestrian rider, but I can say without hesitation overall, it has been an incredible journey of self-discovery and learning so far and I am excited for the journey to continue. For at least a decade I have been dealing with chronic back/si joint issues and have tried many solutions in an effort to reduce my pain, maintain my fitness, and just generally continue to do the things I want to do. I was constantly sore and found myself stepping back from activities which I normally would have enjoyed, such as hiking, biking and skiing. 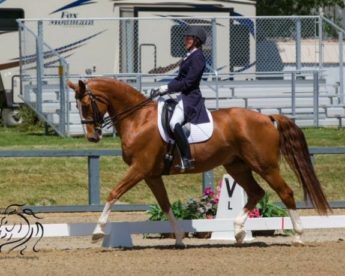 Horses are my passion and I was at the point of having two wonderful equine partners to train and compete with at a high level, but my own physical limitations were preventing me from doing so. 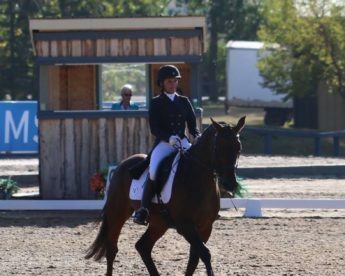 I had set a goal of riding a Grand Prix Dressage test in competition and I knew I had to do something different in order to increase my strength and reduce the frequency of injury. My physiotherapist recommended Pilates and I reluctantly signed up. I had tried Pilates (at a different studio in Calgary) a few years ago and was not impressed because it was very hard for me and the instructor wasn't willing to keep the exercises at an appropriate level where I could feel successful. My first lesson with Amy was life changing. It was hard but not impossible and Amy's good humour made the hour fly by. Most importantly, I felt energized by the lesson - I felt far better walking out than I had felt on my way in. I have been taking lessons with Amy for about 9 months now and this has not changed. The lessons are always appropriate for my current state - sometimes we have to go back to the beginning and just work on basics, but I always feel successful and most importantly, always feel energized by the lesson. I have days with no pain whatsoever - this does a lot for my physical confidence and my general mood! I've been able to continue riding and training, and yes, I've ridden that Grand Prix test and achieved a great score! I would wholeheartedly recommend Pilates for anyone, but particularly for riders looking at increasing their flexibility and strength. Even our favorite Winter sports such as XC Skiing can encourage lopsided and uneven muscle development, and that is why Pilates can be such an effective cross training method. Pilates works on developing your body awareness so that you are always working out in optimal postural alignment. Standing in good alignment is challenging, but maintaining good alignment while you move is even more difficult. However, no matter what kind of athlete you are, you can simultaneously increase your power and minimize your risk of injury with Pilates training. Cross-country skiing gives you a full body workout but if your muscles aren’t prepared for the challenge you risk straining them or even long-term injury. With the ski season fast-approaching, now is a good time to start thinking about building up your body’s strength and conditioning. This is where Pilates can really help. Not only does Pilates help you to build those all-important leg and arm muscles, crucial to cross-country skiing, but it also helps you to strengthen your back and abdominal muscles, improving your balance, agility and breathing. Practising Pilates increases your self-awareness, making you more mindful of how your body works so that you can get the best out of it, both physically and mentally.